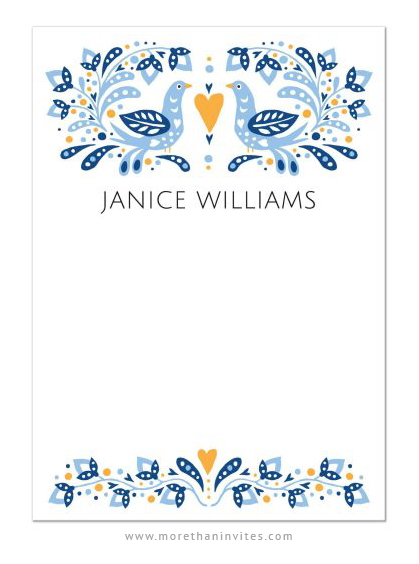 Elegant personalized note cards featuring a modern folk art style illustration of two birds looking at each other with a heart between them. Around are flowers leaves and hearts. Elegant yet somewhat whimsical design. The text at the top can be customized, add a name or other short text. Available from Lemon leaf prints.